In this beginner class you will learn all the basics of cookie decorating. How to make icing, color it, and get the right consistency. 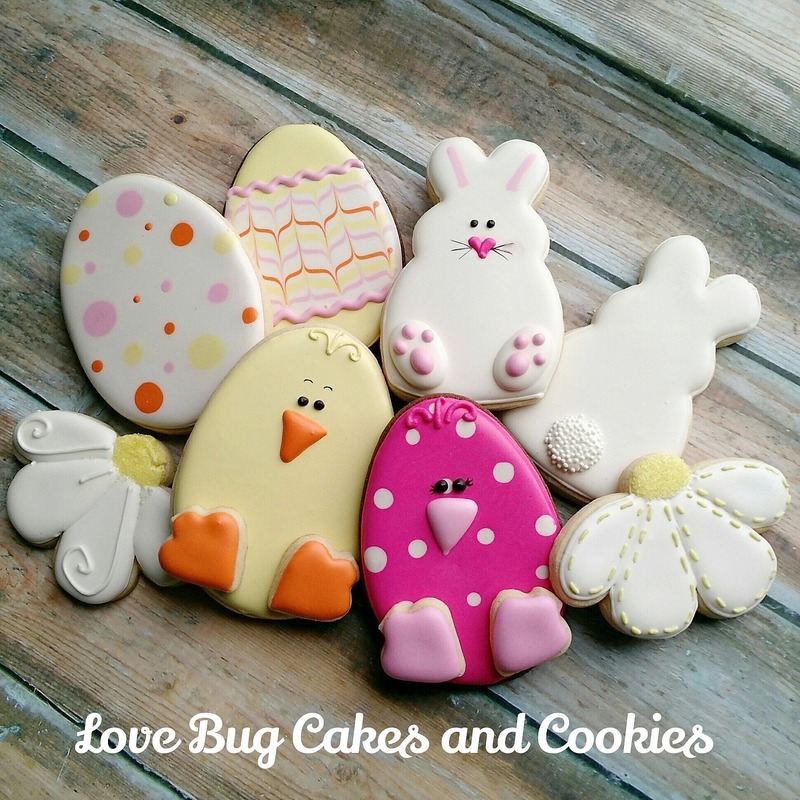 We will pipe, flood, and decorate 6 beautiful Easter theme cookies for you to take home. All materials are included , just bring a 9x13 container to take your cookies home in. I am always changing designs so the cookies pictured will be simlar but will vary from the ones you will make.